Some great reviews this morning in the Irish media, click the links to read the whole review. 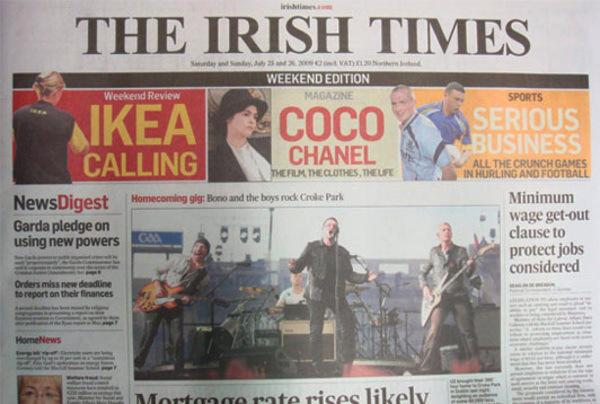 'One of the band's strongest ever live outings,' reports The Irish Times. "A simply blistering set...' concludes The Irish Independent The Irish Independent.